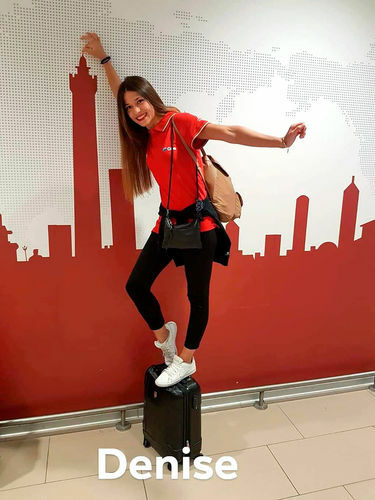 Onda Solare (Solar Wave) Team – Is being joined by Denise Dujmic, engineer of Scm Group, the principal industrial project partner – has arrived in Hastings, Nebraska. This is where the preliminary Scrutineering portion of the American Solar Challenge is about to take place from the 6th to the 12th of July. 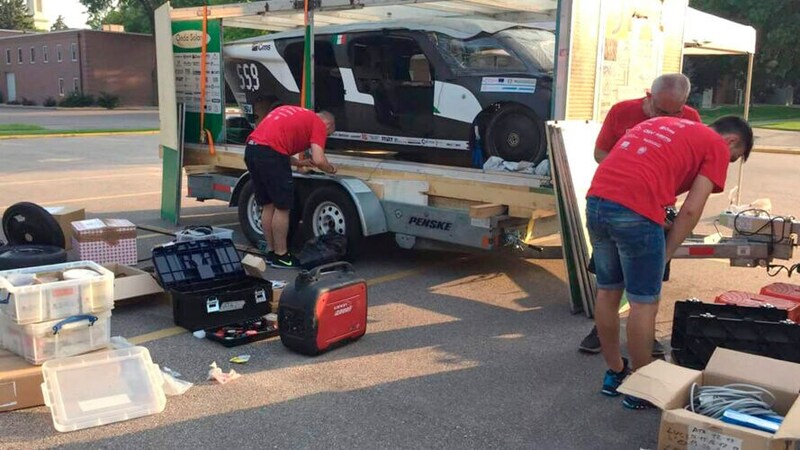 In the coming days leading up to the race, the first big challenge facing the team is getting the Emilia 4 ready to hit the road. They will need to demonstrate, that like all other participating solar-driven cars, Emilia 4 meets all necessary requirements for qualifying. The rules are rather strict: the winner will be the car that will have travelled the greater distance with more people on board. While waiting for the Emilia 4 adventure to get under way, it is important to remember that its high-tech potential is a product of contributions by the Scm Group, through its Industrial Research Center, and Cms Advanced Materials Division, whose machining centers were used to prepare the moulds for the car’s carbon fiber body. 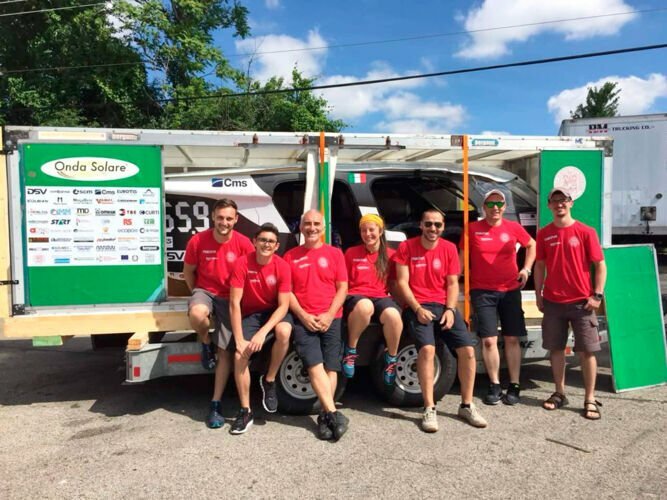 The first Made-in-Italy solar car is a 4 seater that can reach a speed of 68 miles per hour, while consuming the same energy equivalents to that of household hair dryers. The car boasts two electric motors, set within the wheels, powered by 16.4 -square-foot high-performance solar panels connected to the latest-generation lithium batteries. A High-tech approach has been followed during its 2-year development and construction, introducing functional and aerodynamic forms, advanced materials such as carbon-fiber laminates, sandwich panels, and titanium tubing, as well as innovative mechanical suspension solutions. 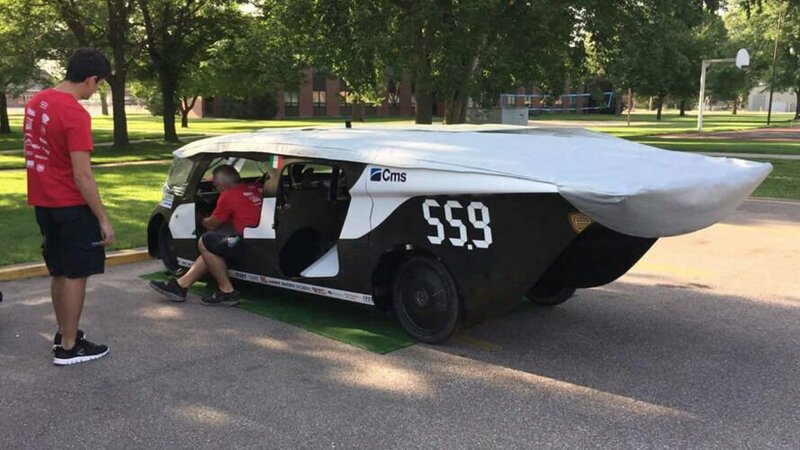 The high-tech Italian car that will compete in the 1864-mile race against cars developed by top-ranking American universities such as MIT, Berkeley, Georgia Tech and U. of Southern California.